The Smithsonian American Art Museum will host 18 new fellows for the 2018–2019 academic year. The museum’s program grants awards for scholars and students to pursue research at the museum, including senior, predoctoral and postdoctoral fellowships. Recipients will be part of the premier residential fellowship in American art—one that celebrates its 50th anniversary in 2020. 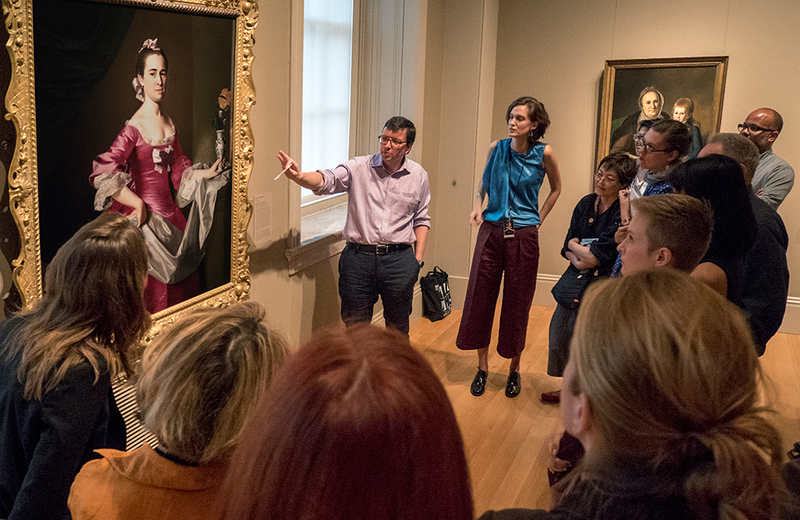 “We at the Smithsonian American Art Museum are delighted to welcome this talented group of scholars to the oldest, largest and leading program for the study of American art and culture,” said Stephanie Stebich, The Margaret and Terry Stent Director of the Smithsonian American Art Museum. Since 1970, the museum has provided more than 680 scholars with financial aid and unparalleled research resources, as well as a world-class network of colleagues. Former fellows now occupy positions in prominent academic and cultural institutions across the United States and in Australia, Asia, the Caribbean, Europe, the Middle East and South America. Fellowship opportunities include the Joe and Wanda Corn Fellowship for scholarship that spans American art and American history; the Douglass Foundation Fellowship for predoctoral research; the Patricia and Phillip Frost Fellowship; the George Gurney Fellowship for the study of American sculpture; the alumni-supported Joshua C. Taylor Fellowship; the Terra Foundation for American Art Fellowships for the cross-cultural study of art of the United States up to 1980; the William H. Truettner Fellowship and the Wyeth Foundation Predoctoral Fellowship for the study of excellence in all aspects of American art. The museum also hosts fellows supported by the Smithsonian Institution Fellowship Program, the Smithsonian Artist Research Fellowship Program, the Smithsonian Postgraduate/Postdoctoral Fellowships in Conservation of Museum Collections Program and the Arts and Humanities Research Council’s International Placement Scheme. Applications for the 2019 fellowship cycle will open in September. For additional information on how to apply, visit AmericanArt.si.edu/fellowships, call (202) 633-8353 or email saamfellowships@si.edu. The museum maintains six online art-research databases with more than a half-million records, including the Inventories of American Painting and Sculpture that document more than 400,000 artworks in public and private collections worldwide and extensive photographic collections documenting American art and artists. An estimated 180,000-volume library specializing in American art, history and biography is shared with the Smithsonian’s National Portrait Gallery. An active publications program of books, catalogs and the critically acclaimed peer-reviewed journal for new scholarship American Art complements the museum’s exhibitions and educational programs.